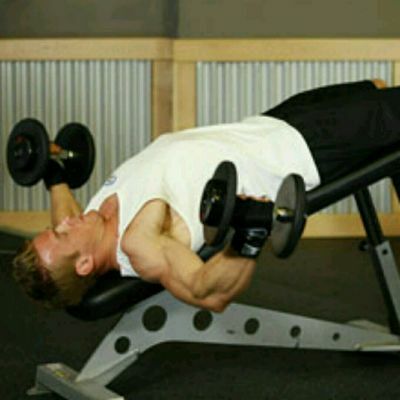 Once you are laying down, move the dumbbells in front of you at shoulder width.  Once at shoulder width, rotate your wrists forward so that the palms of your hands are facing away from you. This will be your starting position. Bring down the weights slowly to your side as you breathe out. Keep full control of the dumbbells at all times. 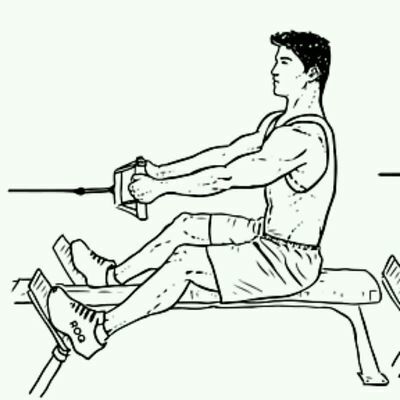 Tip: Throughout the motion, the forearms should always be perpendicular to the floor. 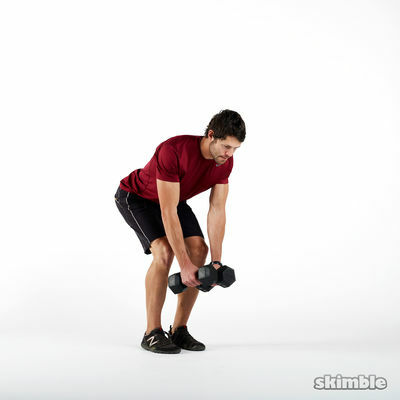 As you breathe out, push the dumbbells up using your pectoral muscles. 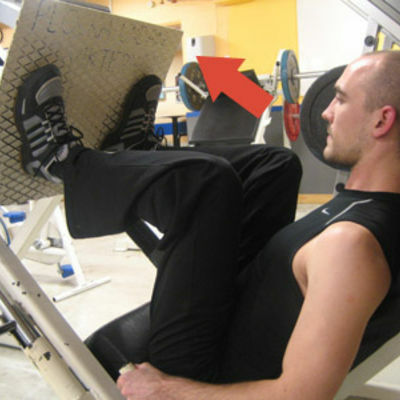 Lock your arms in the contracted position, squeeze your chest, hold for a second and then start coming down slowly. Tip: It should take at least twice as long to go down than to come up..